Fine Artist, illustrator and art teacher Kilia was born in Santo Domingo, Dominican Republic in 1972. Kilia studied Fine Arts and Illustration at Altos De Chavón School Of Design (1992) and also received a bachelor degree in Fine Arts and Illustration at Parsons School Of Design (1994), NY among others minor studies at Universitat De Barcelona (Art History) and Unibe University (Art Education) at Santo Domingo. Kilia was the head illustrator at the national newspaper Listín Diario in Santo Domingo for eleven years she has also done illustrations for other newspapers and magazines like El Financiero Times, Global Magazine, Santo Domingo Times magazine, El Leoncito Magazine, Philip Morris Magazine and others publications in which he provided multiple illustrations. In 2002 Kilia formed her own art academy for kids and has also done several art workshops for elementary teachers at public schools in Santo Domingo and illustrated several children's books for Alfaguara Puerto Rico an also Alfaguara Dominican and for the Spanish publishers Ediciones SM and Editorial Everest. Right now Kilia is the art teacher and art projects coordinator at the The Community For Learning school where she founded an afternoon program for kids at her studio in Santo Domingo. Kilia has also been the art teacher for the Dominican government art program “Ángeles De La Cultura”, a non profit art program that reaches poor communities in different cities of The Dominican republic. Currently Kilia is the art director and illustrator at the SDQ Magazine and also has an illustration studio. 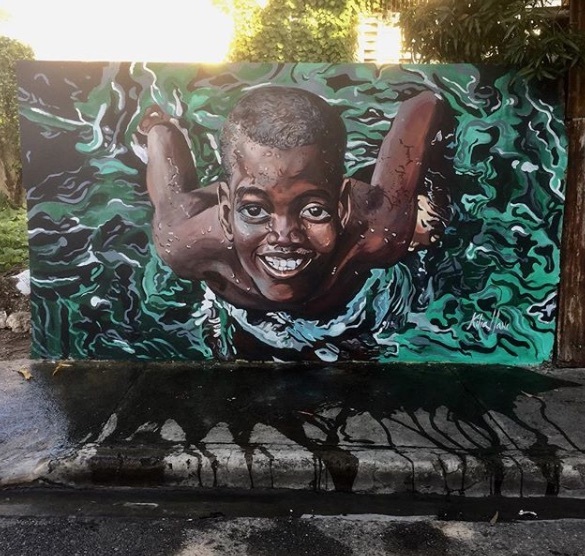 Kilia has participated in several collective art shows and also five solo shows at Santo Domingo and has been working with others fellows artists doing urban art in the streets of several cities in the Dominican Republic and has completed around 20 commissioned murals.